Agility and resourcefulness were attributes Bruce Lee not only greatly admired, but totally embodied. 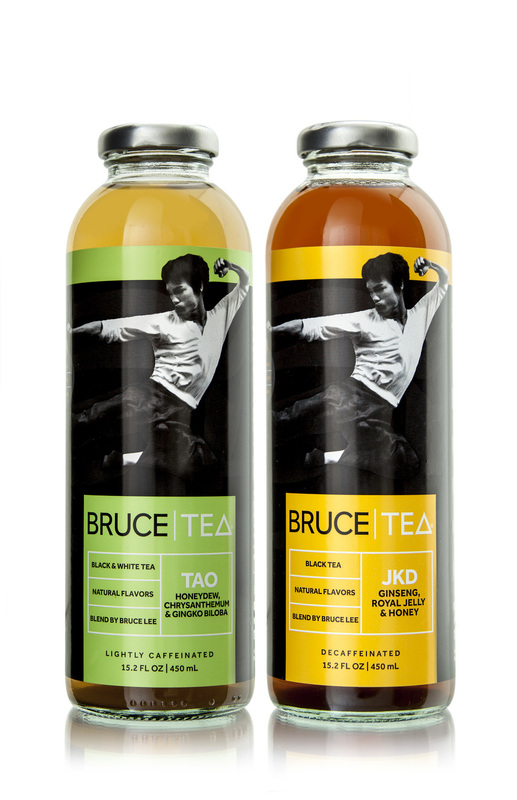 When Lee’s daughter, Shannon, initiated a line of flavored teas based on her father’s personal recipes, those traits were called for again to make Bruce Tea a reality. Beverage manufacturer Splash Beverage Group, Shannon Lee’s partner in the new venture, realized that only a highly experienced, global packaging company could source and furnish the line’s glass bottles and closures. Working from Shannon’s own designs, Berlin Packaging met the challenge with a multi-national sourcing solution. Beginning with the glass bottle, Berlin Global, the company’s sourcing division, identified a Chinese supplier that could meet the demand. Very few stock alternatives exist for 15.2 oz glass containers; to solve the problem, Studio One Eleven engineered a custom mold. It also converted the client’s logo graphics for the custom-imprinted, 38 mm silver lug cap sourced in the United States by Berlin Global. From design to initial production, Studio One Eleven served as liaison between client and supplier to ensure all specifications were met. Berlin continues to drive efficiency for Splash and Bruce Tea by warehousing the packaging for on-demand delivery to the filler. Bruce Tea debuted successfully and the line is already into its second production run.